MENLO PARK, Calif., March 20, 2017 – Nozomi Networks Inc., the pioneer in real-time cyber security and operational visibility for industrial control systems (ICS), today realized another industry milestone with its latest release of SCADAguardian. The trusted solution for cyber security risk detection is now the industry’s first solution to support both operational visibility and ICS cyber security with new modules for Asset Inventory and Vulnerability Assessment. It also introduces innovative Dynamic Learning for configuration-free deployments. This gives energy utilities, oil and gas operators and manufacturers the industry’s only single solution to comprehensively monitor control networks for cyber security and operational anomalies. For industrial operators, tracking assets and knowing their configuration and firmware versions, as well as other attributes, is often a lengthy manual process that is prone to human error and hard to keep up-to-date. SCADAguardian 17.0 automates asset tracking, keeps information current, and makes it easy to visualize, find and drill down on asset information such as software and hardware versions. Alerts, consolidated into context-aware incidents, notify operators of changes that may indicate a cyber security or operational incident. SCADAguardian makes it possible for operators to stay on top of device vulnerabilities, updates and patch requirements. By constantly analyzing industrial network assets against a state-of-the-art repository of ICS vulnerabilities, SCADAguardian saves time and improves cyber resiliency. A dedicated view of all vulnerabilities and their severity facilitates fast remediation. When it comes to comprehensive ICS modeling supported by AI and machine learning, SCADAguardian is well known for its automated learning phase in which it builds an accurate behavioral model of what every industrial device should be doing at every phase in the process. Until now, operators were required to perform a configuration step in order to switch the system from learning to protection mode. Now learning granularity has increased so that learning, and the switch to protection now happen automatically per node and per network segment. Stable network nodes and segments become protected automatically. Operators are not overwhelmed with alerts due to the premature closing of learning mode. These latest capabilities join a robust set of security monitoring modules in SCADAguardian to deliver the industry’s first and only single solution for both effective operational visibility and the strongest possible cyber security threat detection. Visit www.nozominetworks.com to learn more about the newest release of SCADAguardian. Nozomi Networks is revolutionizing Industrial Control System (ICS) cyber security with the most comprehensive platform to deliver real-time cyber security and operational visibility. Since 2013 the company has innovated the use of machine learning and artificial intelligence to meet the unique challenges of critical infrastructure operations. Nozomi Networks delivers both cyber security and process anomaly detection along with industrial network visualization and monitoring, asset inventory, and vulnerability assessment. Deployed in the world’s largest industrial installations, customers benefit from enhanced cyber security and improved operational reliability with one end-to-end solution. 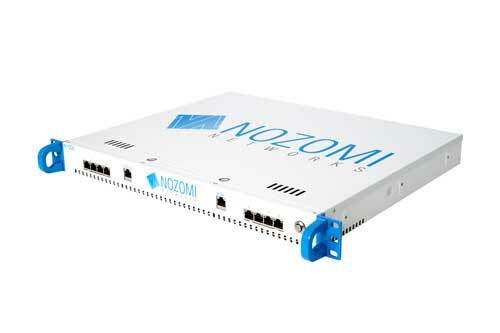 Nozomi Networks is headquartered in San Francisco, California.